Note: Listen to this post instead using the audio player below, and consider subscribing on your favorite podcast player! We’re at an interesting time in entrepreneurship, particularly for small businesses. Things aren’t the same that they used to be. As a society, our lives are radically different than they were 10 years ago, and marketing has changed as well. So has the way we learn. New entrepreneurs aren’t getting their business advice from textbooks or college courses. They’re getting it from online gurus or major online personal brands, who may have an agenda of their own that they’re pushing on you. I’m here to tell you why this often isn’t true, and help you find the balance between direct response marketing, and branding in your small business. Why Is Branding Being Pushed So Heavily In 2019 Anyway? Let me start out by saying that I’m a huge advocate of branding. It’s something I’ve always focused a lot on, and for good reason. As more and more products become commoditized, having a strong brand will become even more important. The problem is when branding-based marketing is the only type of marketing your company is doing. You want to be known for something, and you want people coming to you rather than having to go out and chase customers. That’s great. The problem is, being known isn’t going to make you money on its own. There has to be a transaction happening somewhere. Attention won’t pay the bills, nor will Instagram likes, positive comments, your logo appearing in some major publication, or people telling you how awesome your product looks. You get paid when somebody pulls out their credit card, and decides that they want whatever you’re offering badly enough to offer you money for it. New entrepreneurs are naturally attracted to branding, because they want to believe that they can base their results off of these vanity metrics. It’s much easier to get likes than it is to get sales. All of these things do have value of course – just not until they result in a transaction. It’s no wonder gurus push branding so heavily – it’s an easy sell, it’s a long-term play (so it’s easy to tell you that you just haven’t been doing it long enough) and its more difficult to measure. Again, branding does have its place, and we’ll cover it later in the article. For now, let’s take a quick look at the opposite form of marketing, direct response. If you’re unfamiliar with the term direct response marketing, it is essentially just what it sounds like. 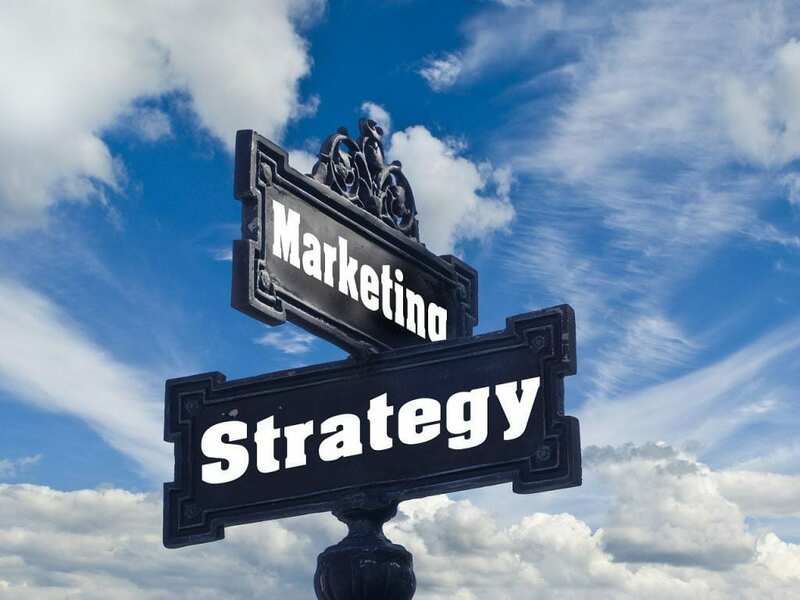 Your marketing objective is to encourage a response right away, be it signing up to an email newsletter for more information, trialing a piece of software, requesting a consultation, or of course, making a purchase. When you click an ad on Google that encourages you take an action right away, that ad was an example of direct response marketing. Direct response marketing has the huge benefit of being measurable, and profitably scaleable. Most ad networks these days allow you to track conversions from their advertisements, meaning you can see exactly how much money you’re making off of each click. This is powerful, because it means that if you have a profitable system in place, you can scale your profit very quickly. Put $1 in, get $2 out, and repeat. It’s not that easy of course, but as a whole, that’s how it tends to scale. This is often how new companies are able to grow so quickly – they’ve figured out proper direct response marketing, and they play it as hard as they can. Not every industry is going to strike the same balance between branding and direct response marketing. To illustrate what I mean, lets use a few examples. McDonald’s, Coca-Cola, and Geico. These are all examples of companies that invest very heavily in branding. You already know what a burger is, and you don’t need to be educated on why you should try Coca-Cola. These corporations know that you aren’t likely to go out and buy their product or service as soon as you see their commercial. Instead, they’re hoping that they’re in the front of your mind the next time you need one of those products or services. McDonald’s wants you to know that they have food everybody will love. Coca-Cola wants you to know that you’ll feel happier when you’re drinking a Coke. Geico wants you to know that if you give them a quick call, you’ll save money on your car insurance. Do they expect every person watching their ad to drop what they’re doing and change car insurance providers instantly? Of course not. However, they know that in today’s busy world, if you don’t hear from them for too long, you’ll forget about them – and their competitors will swoop you up – decreasing their market share and hurting revenue over the long-term. Compare this to a lawyer specializing in car accidents, or a software company selling software to landscapers. While branding may have its place here a little bit, it doesn’t make sense to waste money on ads that may never lead to a sale. There isn’t a particularly long sales cycle in these example businesses. Someone needs a lawyer, they’re only going to work with one, and they need it quick. Your goal should be entirely centered on getting that first meeting. Without the revenue coming in, how will you continue paying for the branding anyway? If you’re a brand new company, it’s almost always the case that the majority of your money should be spent on direct response marketing channels. This is because you need money to grow immediately, and any money that doesn’t directly lead to more can not be spared. Branding should come in the form of free or other low-cost channels that you should be building anyway – things like social media pages, blogs, YouTube videos, etc. This is why I push content marketing so heavily on almost all businesses – it’s cheap, and allows you to build your brand over the long-term without needing a continuous infusion of cash. It also gives you the opportunity to do both things at the same time. Let me use James McAllister Online as an example. If you’re new to this site, I make the majority of my money here from my business courses, although the bulk of my income overall comes from my baby product brand. The majority of my articles on here have some sort of direct response element within them. This could be recommending a product of mine that ties in with the article’s topic, or if there’s no good option, encouraging you to sign up to my email list at the very least. I want each person here to do business with me, because I believe that my products could help them. At the same time, I brand myself with each piece of content I put out. My core values and principals. What I’m known for. Why someone would or would not want to do business with me. I make a point to cut out all the BS and tell people the things they don’t want to hear, because I care about them. Businesses run on reality, not on people’s emotions. People that will eventually go on to succeed tend to understand this fact. However, I don’t run ads on these things. At this point, doing something like that would be quite silly. That doesn’t mean your branding principals aren’t important. Depending on how long your sales cycle is, and the lifetime of each customer, these things could be extremely important. 1. Short sales cycle. A customer is shown a sales video that encourages them to buy right now. If they don’t, they are retargeted. They may visit the sales page several times before purchasing, but ultimately, this is a very direct, measurable return on each step of the funnel. I can’t say there isn’t branding mixed in here, because every interaction you have with someone is still technically a form of branding. Direct response marketing isn’t easy, but it’s so much more straightforward than everything else. You’re either making money, or you’re not. I can see when the ad isn’t working, and kill it quickly. I can also pour more into something that’s profitable. If you’re just starting out, this is the only way to bring in massive revenue quickly. However, I don’t neglect the other side of the coin. Let’s look at my other main method of generating sales. 2. A longer sales cycle, primarily based on content. If you’re reading this article right now, you fall into this category. I believe that the two of us will do business together eventually. It may not be today, it may not even be this year, but at some point it’s my goal to have a product you’ll pull out your credit card for. In the meantime, I’m going to put out a lot of content for you for free. Content that is going to give you a lot of serious value, if you apply it. While I do that, I’m going to slowly make you aware of how my products can help you. I’m going to help you get to know me, who I am, and what I care about. What makes me unique, and what benefits you’ll receive by making a purchase. Eventually, you’ll be at the right place to do business with me. But, here’s the lesson: a lot of other people fall into this category as well. In fact, the number grows every day. There are people who have been consuming my content for years. And every day, new people reach that stage where they’re ready to become a customer. I am constantly pushing my audience to take action and buy, meaning it’s not hard to do so when they’re finally ready. Finally, when I do have a new product to sell, conversions to these people are through the roof, because the branding is all out of the way. The data from the initial sales is used to craft even better ads and sales pages, and make quick improvements and adjustments to the products also. This strategy works, and it’s what I want you to be doing as well. If you’re looking to get more out of your marketing budget this year (whether you’re investing money, time, or both) than I highly recommend picking up two of my products. The first is my course on blogging. It’s going to help you build a blog that converts, walking you through the entire process. You’ll learn how to get your well-designed website up and online if you haven’t already, and produce quality content for it. You’ll then learn how to build traffic to your articles using both free and paid methods, and finally, your options for monetizing those visitors in the most effective way possible. Even if you’re already selling a product of your own, there may be more ways to bring additional revenue out of those same visitors, and there are a lot of suggestions to consider. The next course I recommend is my course on email marketing. This course is much more technical, and focuses on the best strategies to increase the volume of qualified leads you generate, and what to do with those leads once you have them. How to nurture your subscribers to build their trust and confidence in your company, and how to craft emails that convert to sales. Rather than telling you about what’s taught in the course, why not just browse over the course lecture list yourself? When it comes to the direct response vs branding debate, there is never a one-size-fits-all solution. How you should best allocate your companies resources will depend on your niche, your current position in the marketplace, how much money you have, and what your short and long-term objectives are. However, while branding is certainly very important, the majority of small businesses are spending too much money on marketing that isn’t moving the needle, and it’s time to change that. I’d love to hear about how you’re allocating your resources between these two marketing categories, and your plans going forward. As always, if you have any questions about this topic or you’d like to chat, please don’t hesitate to leave a comment. Excellent article as usual! I use both types; Branding when I’m selling my courses and consultations. I use this because of the know, like, and trust factor one needs in this particular business. So both work well but branding takes more time. There is certainly a healthy need for both, but different markets will need a radically different balances. It’s kind of silly that a lot of people push 100% into branding – even calling any form of direct response marketing ‘short-term, narrow-minded thinking’. It’s nonsense! You illustrate all of this by example, I appreciate you sharing this. Totally here you James. I am HUGE on branding. But I sell something through every blog post too; been doing this for a year, at least. Probably longer. Branding can be memorable, can make a huge impact, but being clear on selling and marketing products and/or services helps set the table for a profitable blog. Never get so lost in branding and brand images that you forget these simple basics: create helpful, free content and add one sell call to action on everything you create. Hey Ryan! Good to see you again man. Branding has its place in just about every business but at some point the transaction has to happen. The good thing though in your instance is that with such a strong brand developed, conversions do tend to come quite easily when that person is finally ready. And, by having a call to action in every post, you place that constant reminder, and make it easy for them to finally make the transaction.